These are the Outdoor Pools in Indiana other users have reported. Are you a local and your pool is just not listed? Contact us to ADD IT. It's no cost! Please, use the contact data provided at every single pool profile. Looking for Swimming Pools? Quite a few of them belong to gyms or sport centers which also offer lessons. Please check the nearest Outdoor Pools in Indiana or Contact us to ADD IT. It's free! If you're visiting Indiana make sure you know the rules and regulation for swimming as they may not be the same as in your household town. Regular users told us one of the most important point of swimming is usually to manage your breathing. To get this, our head really should be aligned with our spine all of the time. Swimming is actually a exceptional idea to keep your body active during your visit to Hammond (Indiana), or even if you are a local. Swimia assists you to find your closest Swimming Pool in Hammond. Whereas Fort Wayne is one of the six most populous cities in Indiana with almost 253.691 residents, you shouldn't miss that one if you're going to Indiana. Without a shadow of a doubt, swimming in Gary may be the greatest strategy to unwind following work. Take a couple of minutes to browse Swimia's catalog to find a Swimming Pool in Gary. Without a shadow of a doubt, swimming in Indianapolis is the most beneficial method to unwind following work. 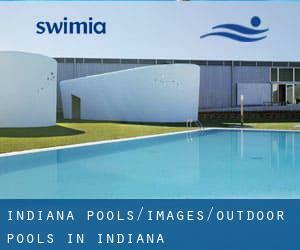 Take a couple of minutes to browse Swimia's catalog to find a Pool in Indianapolis. It's difficult to visit Indiana without dropping by South Bend (with 101.168 residents). 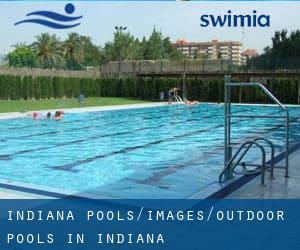 Presently Swimia is showing you all of the Pool in South Bend along with the closest pools located in its vicinity. Holding an estimated population of 80.405, Bloomington is one of the most important cities in Indiana. Check all of the Swimming Pool in Bloomington and its surrounding area. Let us tell you a secret to switch off even though you're in Evansville: just decide on a Swimming Pool in Evansville and plunge into the water! There's no more beneficial technique. Whereas Carmel is one of the six most populous cities in Indiana with almost 79.191 residents, you shouldn't miss that one if you're going to Indiana. Updated on 2019 555 Tennis Lane , Evansville , IN , USA (Postal Code: 47715). Swimmers like you reported 25 meters x 75 feet, 6 lanes, Indoor/Outdoor. Unfortunately we do not have the e-mail address of this Swimming Pool, but we can give you the phone number.